Hello! 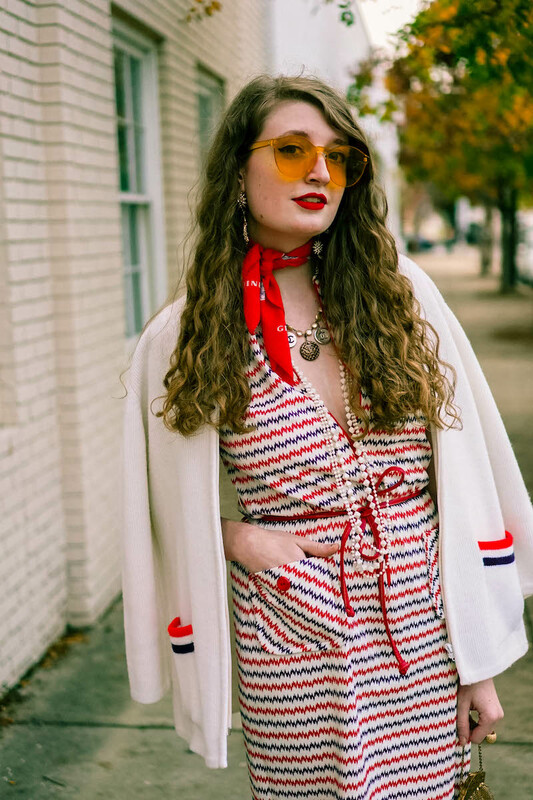 For this look, I styled a couple of my favorite vintage pieces in my wardrobe together: this seventies red, white and blue zig zag striped dress and seventies preppy white sweater. 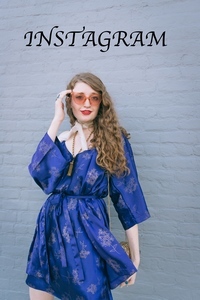 It's more difficult to find authentic seventies vintage pieces so when I do find a seventies gem like this dress or sweater, I'm always stoked. 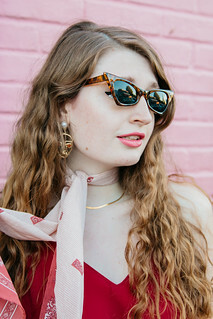 I thrifted this little red, white and blue dress a couple years ago and have worn it countless times. I really love its retro silhouette, all American colors and groovy zig zag stripe pattern. 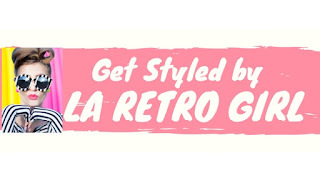 You can see how I styled it last year on my blog here. I thrifted this preppy white sweater more recently and couldn't wait until the weather cooled down just a touch so I could style it with the dress. You can see how I've styled it previously on my blog here. I love the preppy all American feel of the sweater; it's so different from what I'm typically drawn to but it's just such a statement seventies piece. 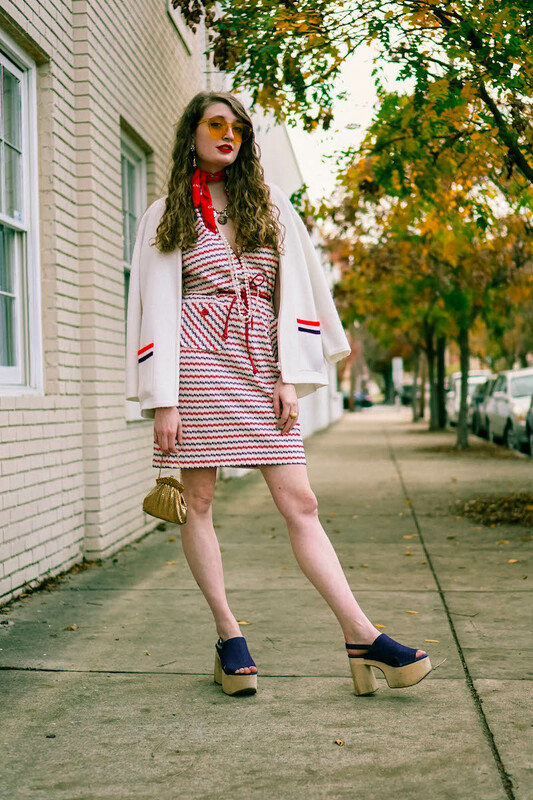 I played up the red, white and blue color aesthetic of the dress-sweater combination with a vintage Budweiser bandana worn around my neck and denim platform heels. 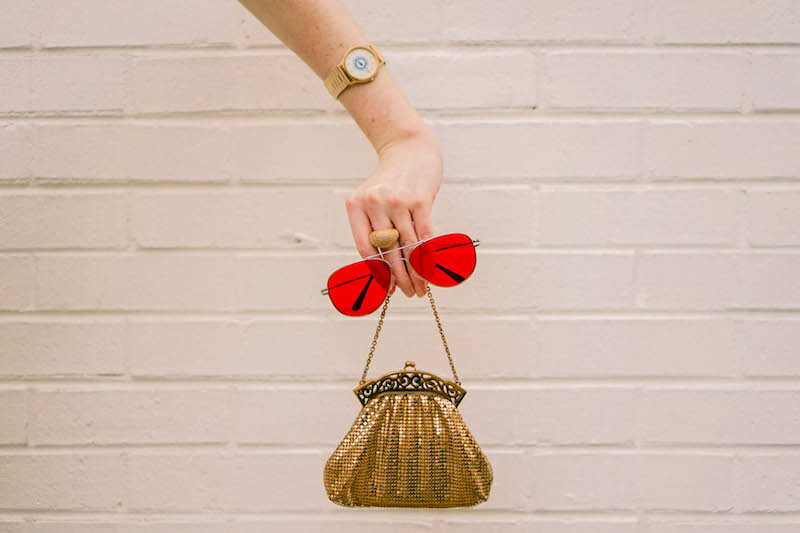 I accessorized with several vintage accessories and statement shades. 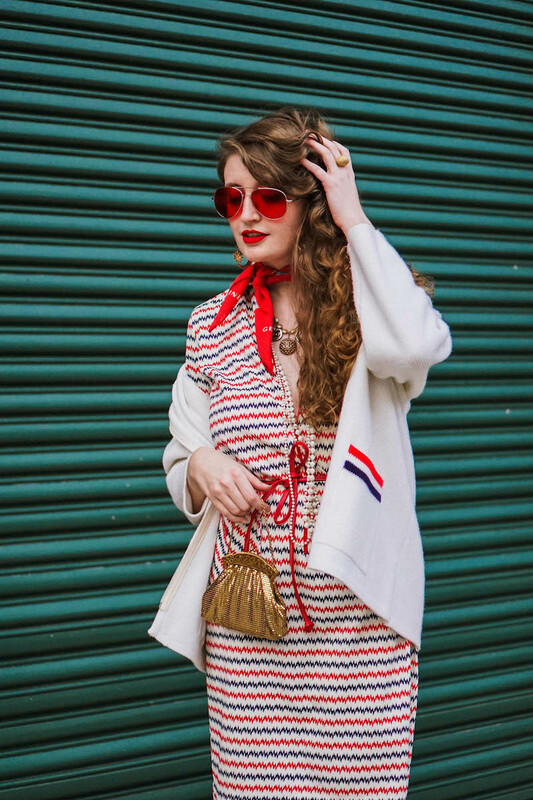 A swipe of red lipstick pulled the whole look together. Photos by Elissa Rumford. You can browse more of her work on her website here or her Instagram here.